The potential liabilities PG&E faces from fires in 2017 and 2018 are estimated at more than $30 billion. The utility giant’s critics contend it’s hurtling toward bankruptcy court because of its own negligence and arrogance. But for many months, PG&E has pointed to the culprit of a shifting climate that led to devastating wildfires and, now, crushing liabilities. It’s “a real wake-up call” for businesses across the country, said Ian Monroe, chief executive officer of the socially responsible investment firm Etho Capital. Whatever their exact cause, the California fires — and the utility’s response — have turned PG&E into a poster child for climate-change dangers. A bankruptcy would make it the largest company to seek protection while blaming the effects of a warming planet for the situation. Some experts don’t see any sector as safe, as the likelihood of what used to be improbable weather disasters grows. The most directly vulnerable are utilities like PG&E, long viewed as safe and steady investments. Hurricane Katrina bankrupted an Entergy Corp. unit in New Orleans when its customer base was decimated, and the 60 inches of rain dumped by Hurricane Harvey did the same to already struggling ExGen Texas Power. 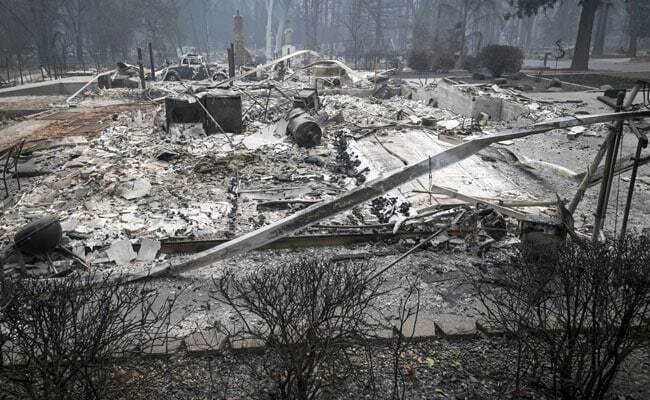 But there’s a long list of those at risk, including farmers, homebuilders and insurers; Merced Property and Casualty Co., a small California insurer, deteriorated due to losses from the 2018 Camp Fire, leading the state’s regulator to take control of it. In August, the Federal Reserve Bank of Richmond said in its Economic Brief that higher summer temperatures could hurt a variety of sectors. The evidence of warming “challenges long-standing assumptions that economic damage from climate change would be confined largely to the agricultural sector or to developing nations,” according to a summary of the report. As PG&E plans for a bankruptcy filing, it’s unclear what role its climate-change argument will play in court. The company aggressively made its case in California that it was dangerously exposed to what Geisha Williams, who quit as CEO over the weekend, called “climate-driven extreme weather.” It used that as part of its unsuccessful bid to overturn a legal doctrine known as inverse condemnation, which holds California utilities responsible for wildfire damage caused by their equipment, whether or not they acted negligently. State officials didn’t disagree that hot and dry summers were fueling ever more explosive blazes, but that didn’t get the company off the hook. The potential liabilities PG&E faces from fires in 2017 and 2018 are estimated at more than $30 billion; the state Department of Forestry and Fire Protection has blamed more than a dozen of the 2017 blazes in part on the company’s power lines and other equipment. Gov. Gavin Newsom and the legislature have signaled that they aren’t keen on using state funds to bail out the company, whose stock has crashed. Its bonds, which were trading above face value before the Camp Fire erupted in November and claimed more than 86 lives, and its the most liquid PG&E bonds, 6.05 percent notes due in 2034, fell 3.125 points to 77.25 cents on the dollar as of 11:20 a.m. in New York, according to Trace.